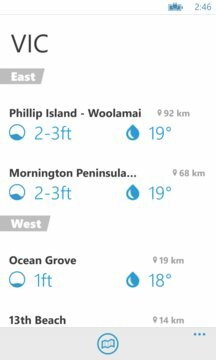 The official Coastalwatch app for Windows 8 Phone - the most comprehensive app for Australian surfing and coastal conditions. 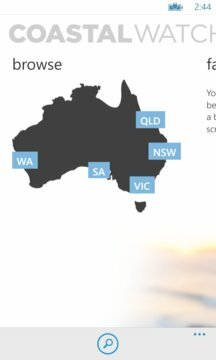 LIVE* Surf Cams, Surf Reports, Surf Forecasts for 85+ popular beaches & surf spots - it's the largest network in Australia. Following on from our no.1 selling surf app on iTunes and Google Play - the Windows 8 Phone app is totally redesigned and rebuilt from the ground up specifically for the new Windows 8 Phone operating system and delivers a seamless user interface. Download it today and enjoy the free 8-week trial offer. + 85+ LIVE Surf Cam* locations. + Surf Report updated early every morning by local surf experts. + Local Wind speed and direction - updated every 30 minutes. + GPS Near Me location finder.